#1 - TIME-OUT! (Most kids shudder to hear those words. Mommy loves them.) I mean time out for ME! Well, I still had Baby with me but she's little and didn't say very much (and slept in the car while I drove around drinking my Eggnog Latte so it was almost time out all alone. I managed to get several errands run. #3 - Eating Well Magazine! The latest issue had a recipe for Butternut Squash stuffing (no butter! no salt!) that was absolutely out-of-this-world DELICIOUS! #4 - A balanced schedule. We're trying to be wise about how much time we spend involved in any variety of activities these days. Our goal is to keep the home front calm, happy and as healthy as possible this holiday season. It's nice to look at a free day on the calendar and not feel the pressure to fill it. Just keeping things relaxed and acknowledging that everyone has limits - including us. #5 -THE HOLIDAYS! Ooooh, I just LOVE them!!! Though I do love my family, I also need quiet times alone (or nearly so)to feel sane. We did the same when our kids were young with Halloween -- we didn't acknowledge it, but one friend had a fall party where the kids could dress up. I think boys like dressing up just as much as girls. I need to check into that magazine. Much of life comes back to balance. Mmm that butternut squash dressing looks delicious! I'm rather glad we Canadians don't have Thanksgiving in Nov - we get a real breather in between. Hope you have great weekend Carrie! Time alone is always good, I think. Especially for a new mom! 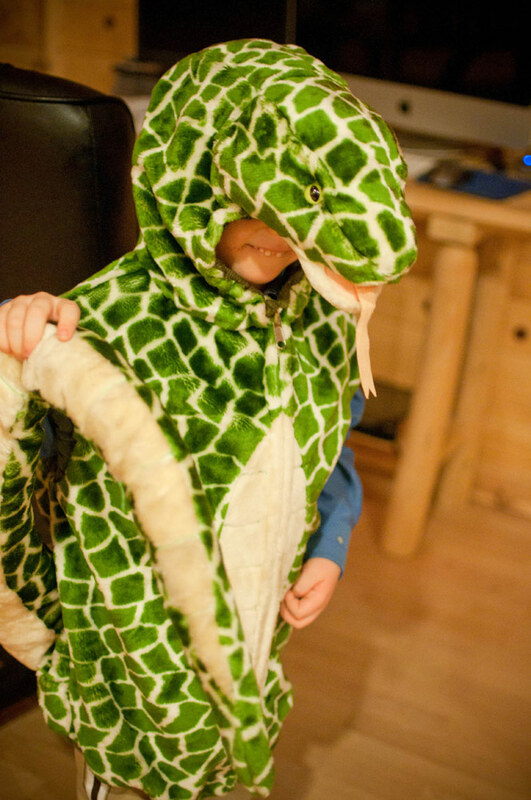 We had a huge box of costumes for the boys when they were growing up, and they LIVED in costume! Love it! I just love your #4 -- you're a wise mom! Have a great week ahead. 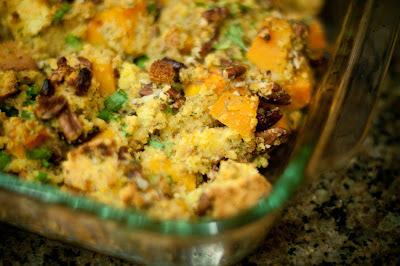 That stuffing isn't something I would zero in on if I just saw the name, but it really does look delicious! 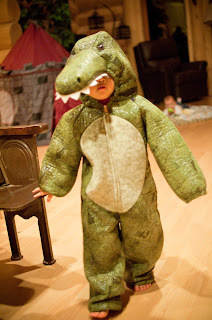 What a great idea to have the best part of Halloween (the costumes, of course!) all year long. That butternut stuffing recipe sounds great -- I'm off to look for it. Those costumes are great. And even better that you found them cheap. I was intrigued by your butternut squash stuffing too and went and found a couple of recipes. This week I'll be eating stuffing! Love your idea about balance and having days of nothing on the calendar. I am learning that I really need to have such times. Otherwise I get cranky and under perform. Those costumes are soooo cute. When my kiddos were young they also lived in their costumes year round! I am off to do some shopping and will stop and get an eggnog latte. Yummm. Have a great week, Carrie. I love those costumes! We don't do halloween here either but I love finding on good deal on dress up stuff for the dayhome kids. No butter and no salt??!! And it was good? I have to check out that recipe! Yay, for a little sort of time out. A mom needs those. 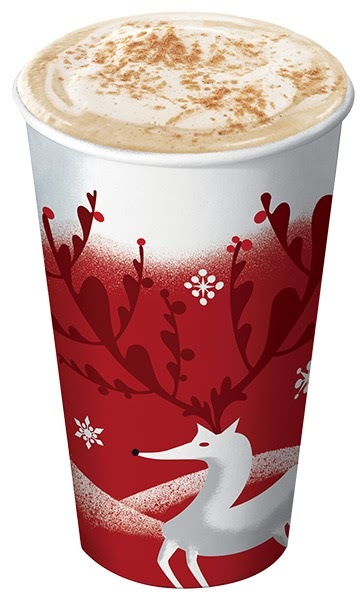 I have not had an eggnog latte yet this year! I also love the pumpkin and eggnog milkshakes that are made at a lot of local places. I need to go out and have one! Cute costumes! That's a good idea, to buy second hand for the kids to play with all year. 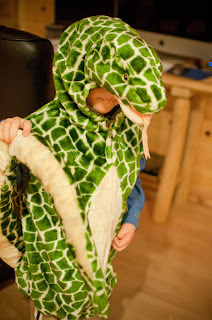 I have a little guy (grandson) who'd LOVE to have a lion or tiger costume to add to his play. Glad you got to run errands (almost) all by yourself. The errands always go faster that way. Is the recipe in the Nov/Dec issue of Eating Well? @Sue - Yes, it is.